Ali Maltese is a licensed Aesthetician, Certified Derma Technician, and Certified Laser Technician. She finished her training in Boston at the Catherine Hinds Institute of Esthetics in 1990, and continued her training at the American Institute of Permanent Color Technology in California in 1997, allowing her to expand her artistic abilities in Permanent Cosmetics. In 2006, she expanded her knowledge again as a Laser Technician giving her cutting edge knowledge in laser skin resurfacing, IPL, Infrared tightening treatments along with Laser Hair Reduction. In 2007, she began a new direction and passion for yoga and completed training as a yoga instructor at the White Lotus Institute in Santa Barbara, California. 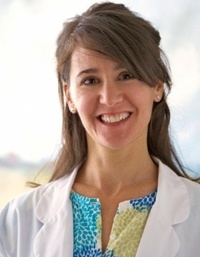 Having more experience with wellness has given her a well rounded understanding of nutrition, exercise and skin care. Her passion for finding balance in her life with work, family and activities is vital for her. Ali loves biking, hiking, traveling, yoga, mission trips, and most importantly spending time with friends and family. She is married with 3 step children and a crazy black lab.